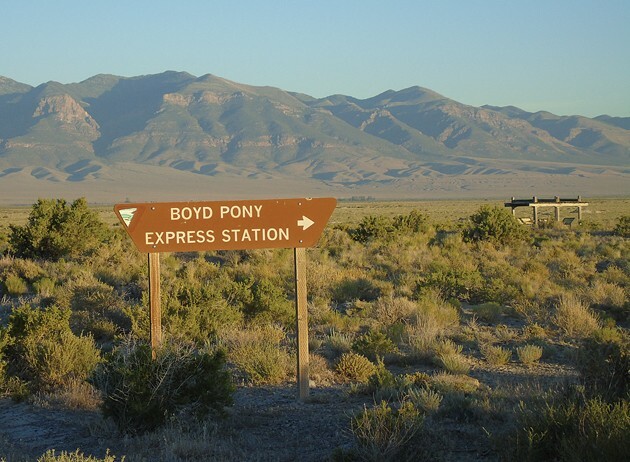 A sign shows the location of the Boyd Pony Express Station. Editor’s note: This is another installment in a multi-part series on exploring the Pony Express Trail through Tooele County. Last week’s article entailed Hot Springs Cave near Fish Springs National Wildlife Refuge. It seems like nowadays, everyone is in a rush to prepare for the next week, or are trying to recover from the week that just passed. In the meantime, time waits for no one and life passes by. 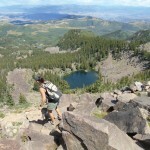 So whatever it takes, push yourself to visit Tooele County’s West Desert or one of the county’s many mountain ranges. Drop the excuses and get out there. Several times over the last few months, I have forced myself to go way out to Fish Springs, the Deep Creek Valley and Gold Hill. These places are far flung and lonely to the extreme, but when you are way out on the fringe, under a night sky full of stars, it changes you. It can recharge your soul and fire your imagination like nothing else. A few weeks ago, I camped in the back of my truck at Boyd Station. I arrived there at around 10 p.m. and it was completely dark. It was a warm evening to an uncomfortable degree, so I grabbed a camp chair out of the back of the truck and walked over to a sandy spot outside of the protective chain link fence around old Boyd Station ruins, sat down and surveyed the scene. I had to be careful walking between the large sage and rabbit brush because there were spider webs with spiders everywhere. While sitting there marveling at the night sky, I thought about all of the big, stupid rabbits I had seen along the Pony Express Trail to this point. It almost made me laugh. When you drive these roads day or night, it is likely you will encounter a rabbit or two. In some areas, these creatures are abundant and you will see one dart out in front of your vehicle across the road every few minutes. The rabbits here are of two kinds: first, the black jackrabbit is a big, gangly looking thing with long slender ears, even longer powerful hind legs and big brown eyes. In my opinion, these critters are ugly, but even so, I take great pains to avoid hitting them while driving. If you are traveling at any speed and one of them darts out, it is much better to maintain your course and hit it as opposed to freaking out, veering wildly and potentially wrecking your vehicle. It’s kind of a medieval approach but practical in my opinion. Some people like to go out into the desert and “Rabbit Hunt,” which is really nothing more than going out there, walking through the sage, spooking these poor critters out and then blasting them with whatever weapon you are carrying. It’s fun to get out there in the wide open and go for a walk, but I don’t see the attraction behind killing a creature that you have no use for, and did you no harm. I never do it. In areas this might be a useful practice to control populations, but the idea of it is still unpalatable to me. The other type of rabbit you might see in the desert is the little cottontail. These rabbits have a gray coat and a little white “cotton” tail. They are cute compared to the ugly jackrabbits and are enjoyable to see. As I sat there under the stars at Boyd Station, I had to keep re-adjusting my camp chair because one foot would sink into the sand/dust soil. Still thinking about rabbits, I remembered a story that Maj. Howard Egan wrote about in his book “Pioneering the West.” It’s called “Rabbit Drive” and it’s about an Indian rabbit hunt and it basically went like this. As Egan was visiting the Indians, he heard them talking of rabbits and deduced they were preparing to go on a rabbit hunt, so he asked the chief if he could come along. 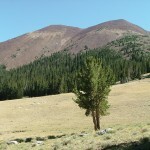 The chief agreed and Egan accompanied them to a spot of land covered with sagebrush and rabbitbrush about a mile in diameter. Egan learned later that the Indians did not prefer to use fire on their hunts because it took the range too long to recover. Instead they would make dozens of woven grass traps between sagebrush, but they wanted to impress their white friend so they used fire. The Indians utilized the rabbits for food and clothing, making complete shawls or blankets out of dozens of skins. It was an enjoyable thing to sit there overlooking the ruins of Boyd Station with the Deep Creek Mountains, and their late June snow cap visible under the stars. Boyd Station is 14 miles west of Fish Springs and about 8-10 miles east of Willow Springs in the middle of Snake Valley at a prominent desert road junction. The road that forks to the south is the old “Chorpenning Trail” to Pleasant Valley and then around the south end of the Deep Creeks that was used by the “Jackass” Mail. 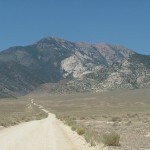 The road heading west is the Pony Express Trail. Looming over the station site and the crossroads is a small knoll that rises abruptly from the plain. If you ever visit Boyd Station site, take a walk over to the knoll and stroll up it. The knoll is interesting because it consists of red and black volcanic type rocks, some of which are speckled and for a person like me, make a good addition to my rock collection. 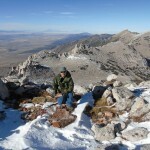 From the top of the knoll you have outstanding views of the rugged, seldom visited Fish Springs range to the southeast, the mysterious hills capped by the “Window Rock” to the south, and the magnificent Deep Creek Mountains to the west. You also have a fine view of the Boyd Station area and you can see different, faint tracks heading out across the desert waste from the station that are not visible from the road elevation. According to the maps, one of these is the actual Pony Express Trail. Next week we will take an in-depth look at pioneer George Washington Boyd, who built the station and the role he played in scouting and manning the Pony Express and Overland Stage Stations. As always, if you venture out into this remote section of the desert, take plenty of fuel, water, a spare tire and food. There are no services for over 100 miles and nor cell service.